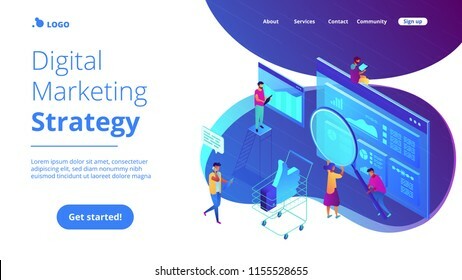 1741 place | Vector illustration in rank M-rank: Isometric team of specialists working on digital marketing strategy landing page. Digital marketing, digital technologies concept. Blue violet background. Vector 3d isometric illustration.